Hailing from the Philippines, Juro Kim Feliz (b. 1987) is a pianist and composer currently based in Toronto, Canada. His first musical exposure came through piano lessons from his mother at an early age. Formal piano studies commenced later under Minda Amoranto and Avelina Manalo, leading him to win the Weinstein Piano Competition (1st place, 1999) and land as a finalist in the National Competitions for Young Artists Piano Competition (2001). Gaining admission in the University of the Philippines, he studied composition under Jonas Baes, Christine Muyco and Josefino Toledo. Alongside piano training under the late pedagogue Nita Abrogar-Quinto, he developed an interest in the Japanese koto and studied under Wakaba Nishijima, Raissa Odi-Pineda and Hiroko Nagai. He subsequently earned an M.Mus Composition degree at McGill University under the supervision of Melissa Hui. Other mentors included composers Hans Thomalla, Liza Lim, Dieter Mack, Chong Kee Yong, Anothai Nitibhon, Bernd Asmus and Linda Catlin Smith through various consultations. 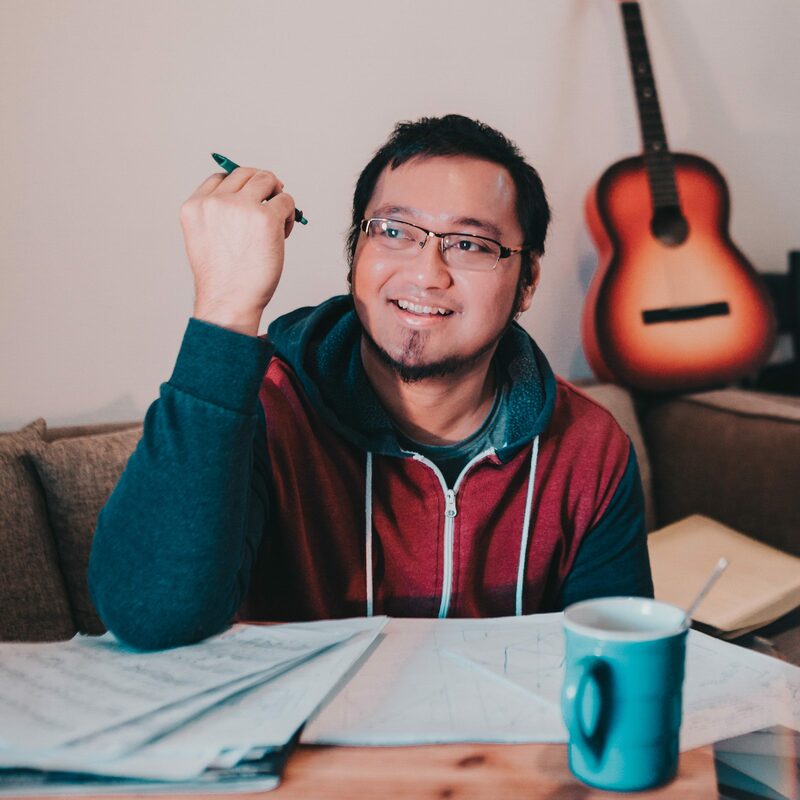 His percussion duo work Gandingan sa Kagiliran (2014) is commercially released in the Millennial Masters Volume 7 under Ablaze Records. Besides activities involving composition, Feliz also engaged in organizing mission trips and training on contemporary church band music in different Philippine provinces (2012-2013). Volunteering as a radio producer and co-host in Sigaw ng Bayan Montreal at CKUT 90.3 FM (2015-2017), he is currently producing a four-part blog/podcast series named Nomadic Sound Worlds under the Canadian Music Centre Library Residency. Click here to view a complete curriculum vitae.